After 15 years going to the same day program, Ben was ready for a change. But, he wasn’t sure what kind of change. Through Kudoz, he tasted everything from botany to small business ownership to stunt doubling. 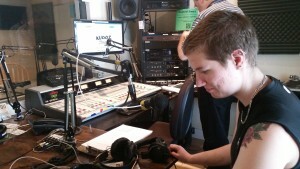 Experiential learning has shaped Ben’s preferences, future goals, and motivation to achieve. 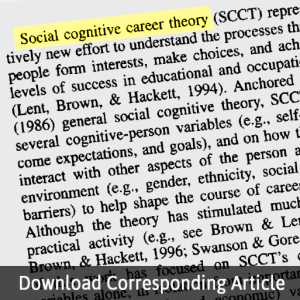 Social cognitive career choice theory tells us why. “I’m looking for a change,” Ben told us the first time we met. Since Ben graduated from high school more than a decade ago,, he has gone to the same day program and done the same types of things day after day. Tuesdays are bowling. Wednesdays are lunch club. Fridays he gets paid to sort paper. Most nights are spent alone, watching movies until 2am. He likes the things he does, but they aren’t quenching his curiosities or stretching his sense of self and future. With Kudoz, Ben chose from a catalogue of experiences. Tuesday night, Ben was introduced to stunts by a professional stuntwoman, Cassandra. Saturday morning, Ben met Frane in North Vancouver to go on a botany walk. Wednesday afternoon, Ben learned about small businesses from Lise, owner of Sophie’s Pet Palace. Exposure to what’s out there got Ben thinking differently about what he wanted. Maybe he wanted to go back to school and learn how to work with kids? Maybe he wanted to find out more about owning a small business? Going on so many varied experiences gave Ben insight into his preferences, and language with which to express his goals. It also created a new sense of personal urgency to break out of the stale routines, and make going down a different path a priority. Ben is now actively seeking further education opportunities, with the support of staff in his day program. This is an example of social cognitive career theory at work. This theory says that before people can set meaningful goals, they need great learning experiences. Great learning experiences are the kind that boost your confidence and competence. In the absence of experience, we often use faulty thinking and ‘foreclose’ on options too soon. In other words, we needlessly narrow our viewfinder or end up pursuing options that we’re not really jazzed about. That’s not great for follow-through and overcoming the barriers that might stand in our way. Typically, disability services have worked in the opposite order. 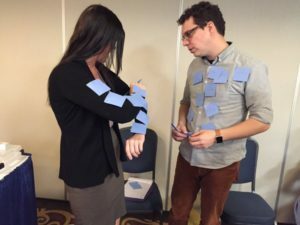 They’ve asked individuals to set employment goals or make ‘person-centered’ plans without first creating a wide experiential base from which to choose. Kudoz provides this experiential base.